Recently, the Central Board of Direct Taxes (CBDT) notified tax return forms applicable for Financial Year (FY) 2018-19. Generally, every year, CBDT notifies such forms to incorporate changes introduced by the Union Budget. However, this year the purpose has been two-fold—changes introduced by Union Budget 2018 and to introduce additional disclosures and reporting requirements such as investment in unlisted equity shares, directorship with companies, foreign depository and custodian accounts, etc. For the past few years, the government has been extensively using technological tools and digital platforms to track tax evasion and to ensure enhanced tax compliance. Continuing with its slew of measures in tax automation, electronic filing has been made mandatory for said FY. Every individual taxpayer shall file the income-tax return electronically except super senior citizens i.e. 80 years or above (subject to fulfilment of other prescribed conditions). Option to file paper-based return by taxpayers having income up to Rs 5 lakh and not seeking a refund, available until last FY, has been scrapped. Budget 2017: Do we expect an overhaul of personal income tax rates and slabs? Individuals who qualify as 'Resident' and 'Ordinarily Resident' during FY 2018-19 and have income from salary, one house property, income from other sources (such as interest income) and agricultural income up to Rs 5,000, with total income not exceeding Rs 50 lakh, are required to file their tax return in Form ITR-1 (Sahaj). 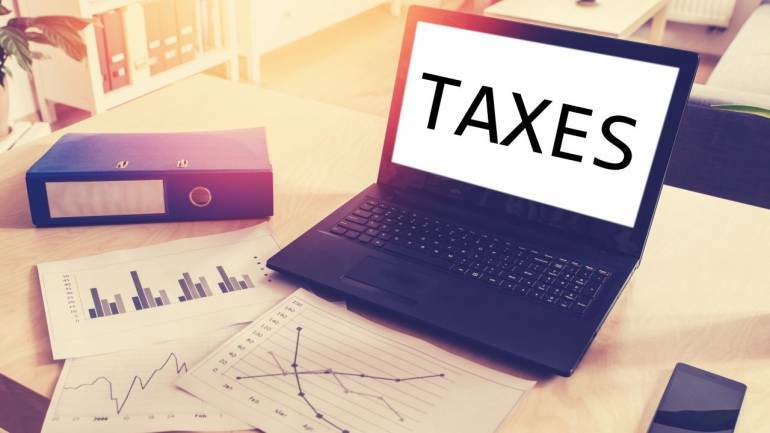 Individuals being a director in a company or having investment in unlisted equity shares at any time during the FY have been specifically excluded from filing their tax return in Form ITR-1. They are required to use Form ITR-2. Form ITR-2 is applicable to individuals not having income from profits and gains of business or profession. The new form requires the taxpayer to provide additional details of the number of days of stay in India along with the individual’s residential status. Additionally, where the non-resident (NR) individual is a citizen of India or a Person of Indian Origin, he/she needs to report the total period of stay in India during FY 2018-19 and during the preceding four years. Further, NR taxpayers are required to provide their Taxpayer Identification Number(s) and jurisdiction of residence that appears to be more relevant to expatriate employees. Additional details have been introduced in Capital Gains schedule, in line with the changes introduced in the Income-tax Act, 1961 with regard to withdrawal of exemption on the transfer of long-term securities (being equity shares, units of equity oriented mutual funds or business trust subject to Securities Transaction Tax). In addition, prescribed details of a buyer need to be provided in case of transfer of any immovable property. In order to keep a check on issue of shares by closely held companies and investments made by shareholders therein, a new table has been inserted to seek details in respect of unlisted equity shares held at any time during the FY 2018-19, like name and PAN of the company, opening balance of shares, shares acquired/transferred during the year and closing balance. It is not specifically clarified whether unlisted equity shares would also include shares of foreign company for the purpose of disclosure in Form ITR-2. Individual taxpayers who are directors of the companies are now required to furnish details of the company name, PAN of the company, whether shares of the company are listed and the Director Identification Number. As regards reporting of exempt income, in case agricultural income is exceeding Rs 5 lakh, additional information is required to be reported such as the name of the district with pin code, measurement of agricultural land, whether owned/leased, etc. under exempt income schedule. In addition, reporting of income under the Double Taxation Avoidance Agreement and pass through income not chargeable to tax is also required. With respect to foreign assets located outside India, the disclosure requirements have been widened in Schedule FA to include details of foreign depository accounts, foreign custodian accounts, equity or debt interest in a foreign entity and foreign cash value insurance contract or annuity contract. This will help in cross-validation of these details by Indian tax authorities with overseas jurisdictions with which India has entered into information exchange bilateral treaties and agreements. Individuals claiming relief under the relevant Double Taxation Avoidance Agreement would be required to disclose whether a Tax Residency Certificate (TRC) from the country of residence has been obtained or not. This may pose a practical challenge wherein TRC may not be available by the due date of filing the tax return due to a difference in the period of tax years of other countries. For e.g., the US follows calendar year as its tax year. To conclude, with such enhanced disclosures with respect of certain income and transactions, in the future, the enquiries from the tax department would be also based on mismatches in this data as they would possess detailed information needed for processing of the tax returns in a more comprehensive manner. It is imperative for taxpayers to diligently take note of all changes and provide accurate details to avoid penal consequences on non-disclosure of relevant information.